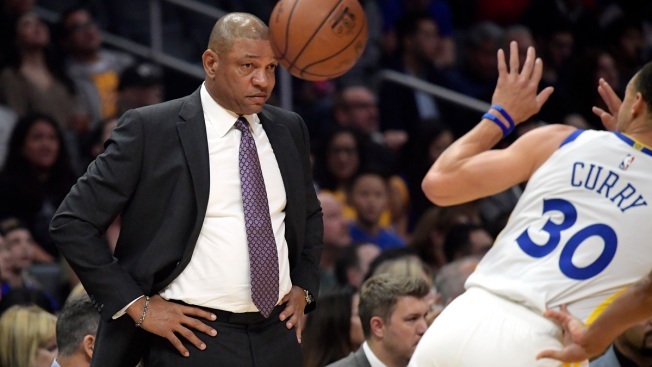 Los Angeles Clippers coach Doc Rivers, left, watches as Golden State Warriors guard Stephen Curry takes an inbound pass during the first half of an NBA basketball game Friday, Jan. 18, 2019, in Los Angeles. This is such a different time for the Clippers and Warriors from their days as fierce rivals who swung elbows, tussled and trash-talked at every chance. 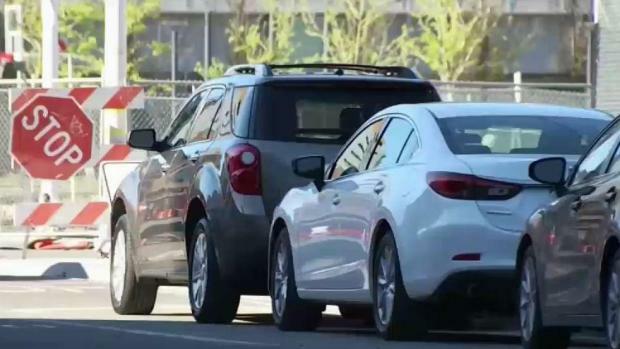 The Warrior’s new home, the Chase Center, isn’t open until the fall, but neighbors are already bracing for major parking issues as the arena con host 18,000 spectators while the parking lot only 950 cars. Sideshows broke out in Oakland Sunday, ahead of the Golden State Warriors final regular season game at Oracle Arena, but no arrests have been reported as yet, according to law enforcement officials. Jodi Hernandez reports. 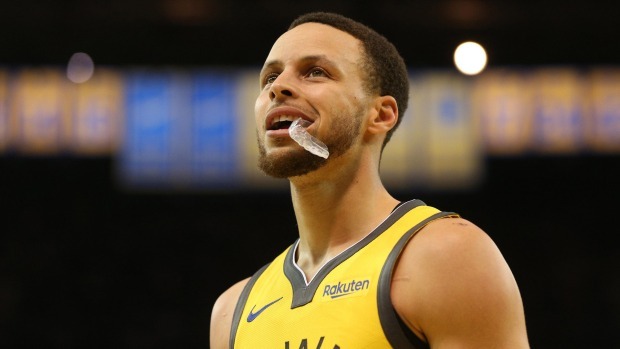 NBC Bay Area's Colin Resch catches up with Warriors star Steph Curry ahead of the premiere of his new Facebook Watch series.